This is the second part of my 3 part blog on fundraising. Part 1 described our situation, how we came to fundraise and the challenges we faced. I hope this post will be more positive and will give other families an idea of where to start as it describes what we did. 'Our mission is to transform the lives of sick children and empower families. 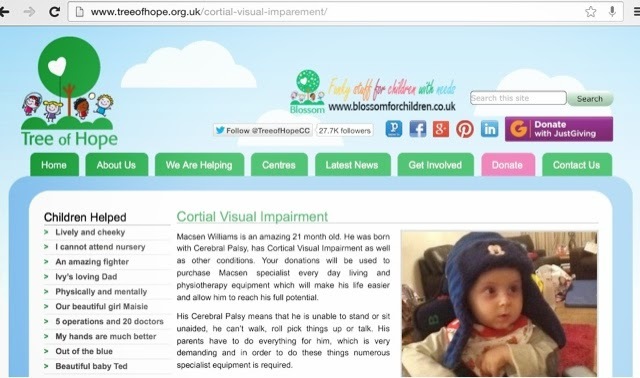 We approached the charity via email regarding fundraising for the eye gaze computer and later for other therapy equipment. Within hours we were connected and Tree of hope quickly helped us to setup a JustGiving page dedicated to Macsen: http://www.justgiving.com/macsen. The charity assured us that any funds that we raise would be ring fenced for Macsen and would be used to buy his equipment when we need it. * Kids fun day - our friend Hayley Beddows booked a community centre for a few hours during the school holidays, organised a tuck shop and raffle. A local company Sandcastle Entertainment also offered a free bouncy castle and entertainment. * School disco - our friend Jo Barrow organised a school disco after school one evening. They charged for entry and the tuck shop. * Craft fair - 10 local crafters came together and paid for tables at our craft fair. 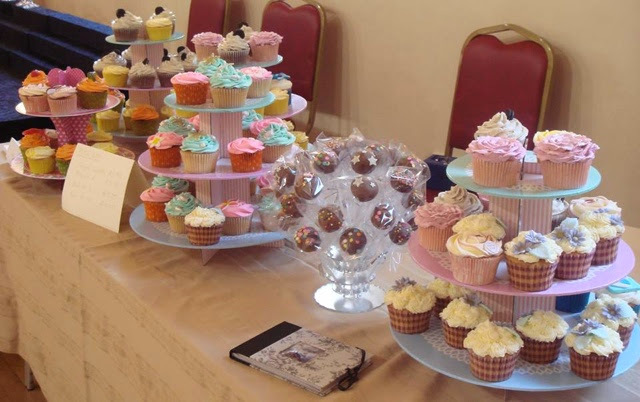 It was based in a community centre in Mumbles where there was very high tourist footfall (https://www.facebook.com/events/412983975483065). * Curry night - our friend Natalie Mccombe organised an event at a local Indian restaurant where everyone paid a fixed sum and a proportion went to the charity (https://www.facebook.com/events/197237677101409). * ASDA - we were selected as one of ASDA's community supported charities along with another Tree of Hope child. We were included in the green token vote and shared 3 months worth of 5p carrier bag charges for a large superstore. * Pub Fundraiser - A local group led by my cousin Corinne organised a charity night at local pub. They had singers, donations for dares and a raffle. * Fighting for Macsen - My brother in law David Smith took part in a white collar boxing match and was sponsored by his friends and colleagues. * Community Bike Ride - A local group came together for a mammoth cycle ride. We hadn't met any of the riders before and even when they tragically lost a member of their team (Paul 'Jakey' Driscoll) they were very committed to helping our cause (http://pauljakeydriscoll.co.uk/). * The Killay Cooperative supermarket has a collection tin on each of its checkouts for the remainder or the year. * Our friends Jo and Marc Barrow are running the Barcelona marathon in support of Macsen (www.virginmoneygiving.com/joandmarc). * Our neighbours Warren and Alex Mccombe (father and son) are planning a huge bike ride on Father's Day in support of Macsen (https://www.justgiving.com/Warrenmccombe/). My wife Lisa and I would like to take this opportunity to thank everyone who has helped us through this time, whether it be fundraising, donating or any way else, you are amazing! 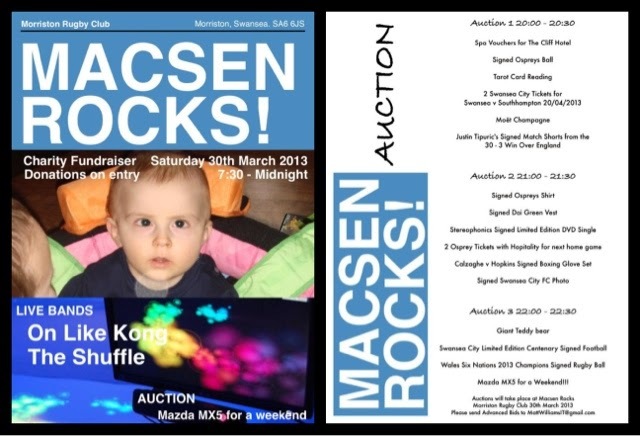 My next post will show what your donations have bought and how they are benefitting Macsen. Fundraising - Part 1 - Is It Begging?